Few culinary terms conjure up as much discontent as the word “deconstructed,” which, at its most basic, just means components of a dish are separated on a plate. And though the deconstructed fad has mostly subsided, the technique is still employed by both the pretentious and the humorous. The problem is that sometimes you can’t tell which is which. So cue the international intrigue surrounding a Facebook photo from a group in Australia showing a deconstructed sausage sizzle. For those outside the South Pacific, a “sausage sizzle” is a very basic sausage sandwich, kind of like a hot dog, but typically with little more than a slice of white bread instead of a bun. They are typically sold at fundraising events called sausage sizzles. (Apparently, Australia is running out of words or something.) Last Friday, the Melbourne Flames Dragon Boat Club (a club predictably dedicated to racing dragon boats) figured what better way to promote its fundraiser to “support our journey to Australian Championships” by posting a pic of the group’s wares, a sausage sandwich – in deconstructed form. 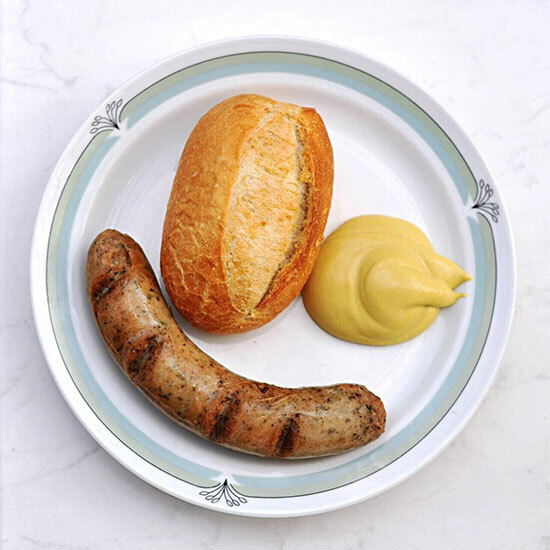 “Choose from a traditional snag or our new hipster deconstructed sausage,” the club wrote on social media. Just to be clear, a deconstructed sausage sandwich is essentially a sausage next to a slice of bread.